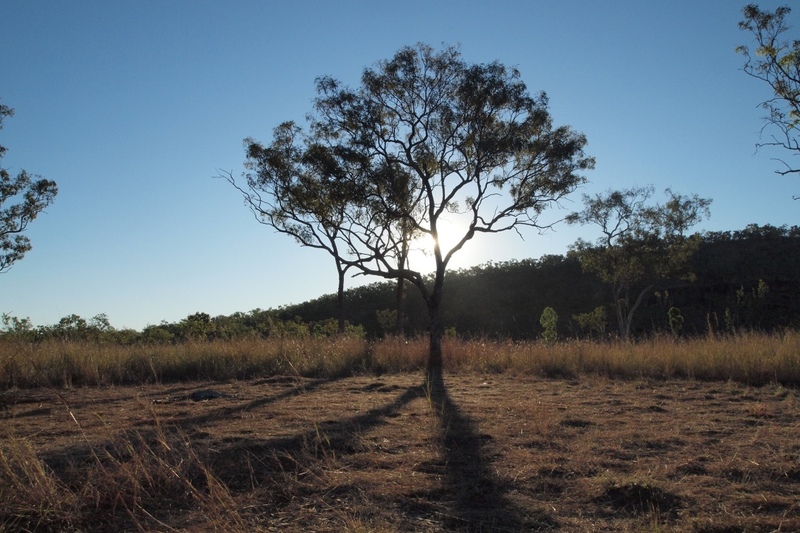 The Munja track was first cut through the hills in 1960s the by the Lacy Family, the pastoral lease holders, of Mt Elizabeth Station providing road access stations along the track, outstations for Mt Elizabeth as well as the Munja Mission. Prior to the track these were only accessible by mules. 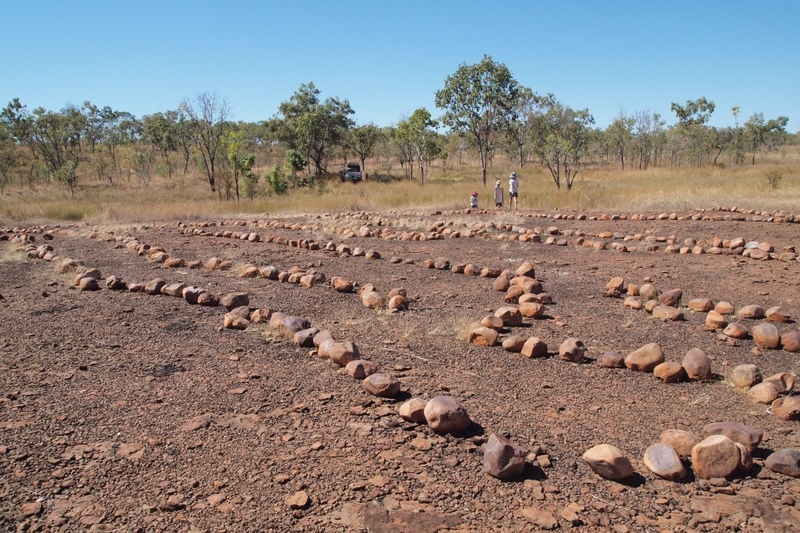 Apparently it took them 6 weeks with a crowbar moving rocks and cutting back the scrub The Munja Mission at the peak had approximately 500 aboriginals camped around the mission the main purpose of the mission was providing food provisions for the indigenous families. The track offers a variety of scenery as you pass through the hills towards the sea and in addition to rocky sections there was mud and some sections of really good track. 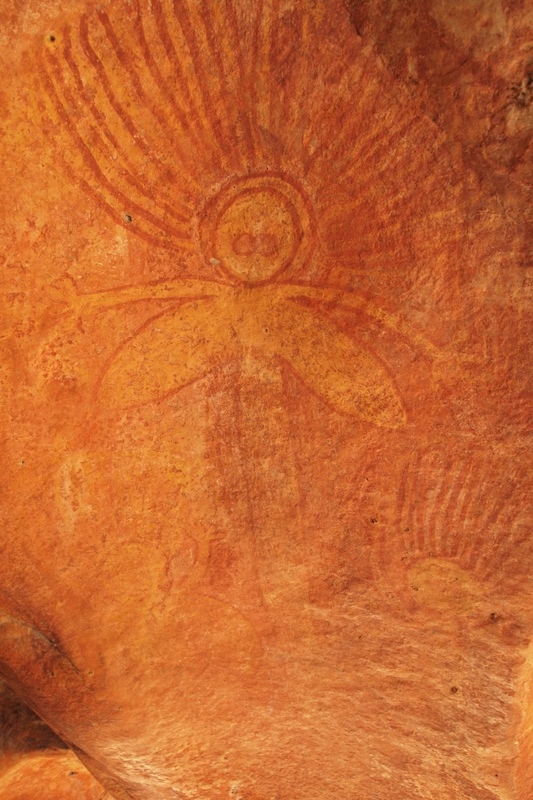 The track is now managed by Ann Lacy and her husband Rick under a tourism lease and they spend two weeks at the beginning of the dry season re-opening the track – clearing the dense grass, fallen trees and growth from the wet – we saw photos of the jungle that grows during each wet and some of the track covers monsoon rainforest. 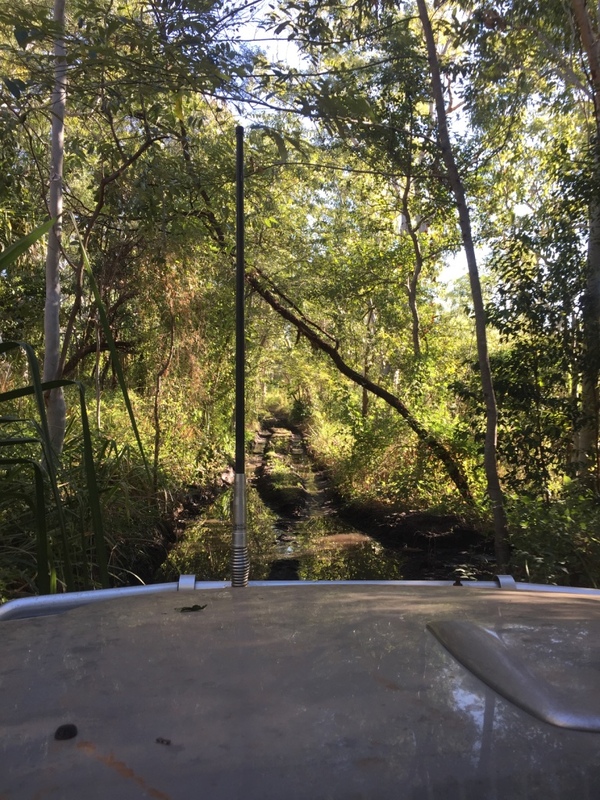 We left Bachsten Camp with warnings that there were lots of snakes around and a reminder to note the ‘safe swimming’ spots as saltwater crocodiles are in the lower creeks as we get closer to the inlet! Not far from Bachsten camp we stopped at Wrens Gorge and walked the 1km down through the open gorge to the waterfall and swimming hole. 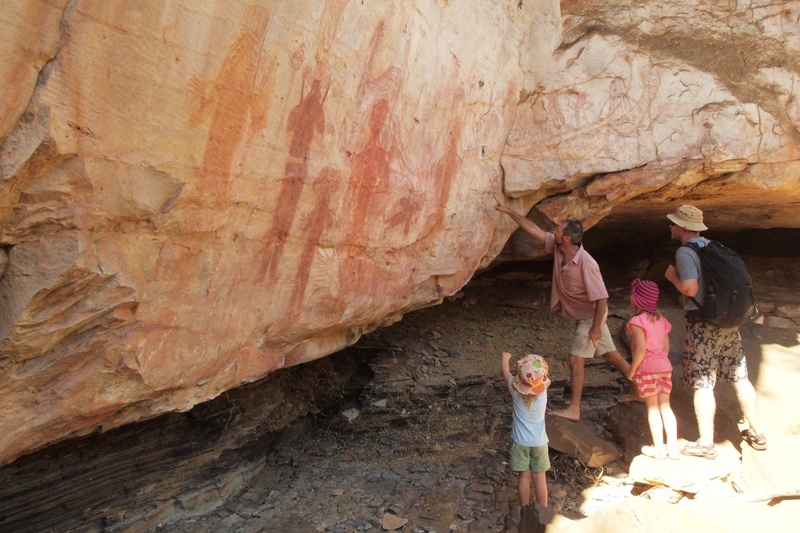 This gorge is a large open expanse with rocky overhangs on the left and as we walked along we spotted numerous paintings of differing styles and painting over paintings indicating years of indigenous activity. 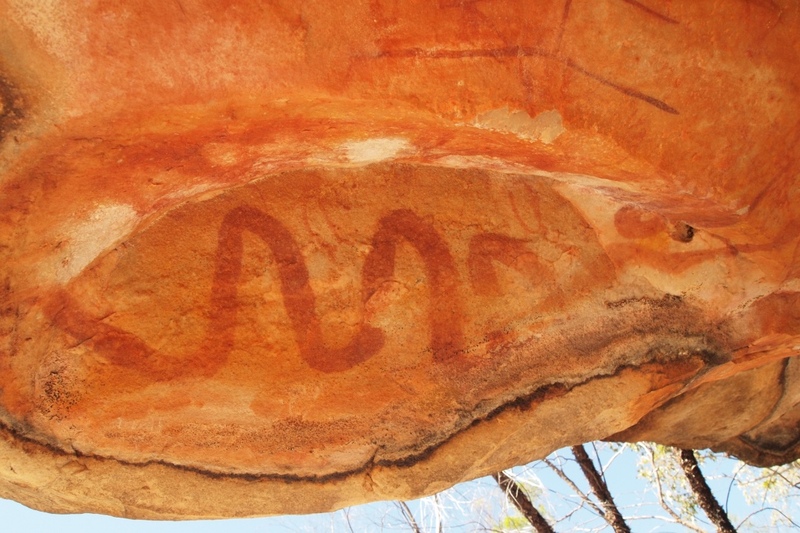 The Kimberley is covered with rock and it has preserved the evidence of significant indigenous populations living around the area marking the stone with their story. 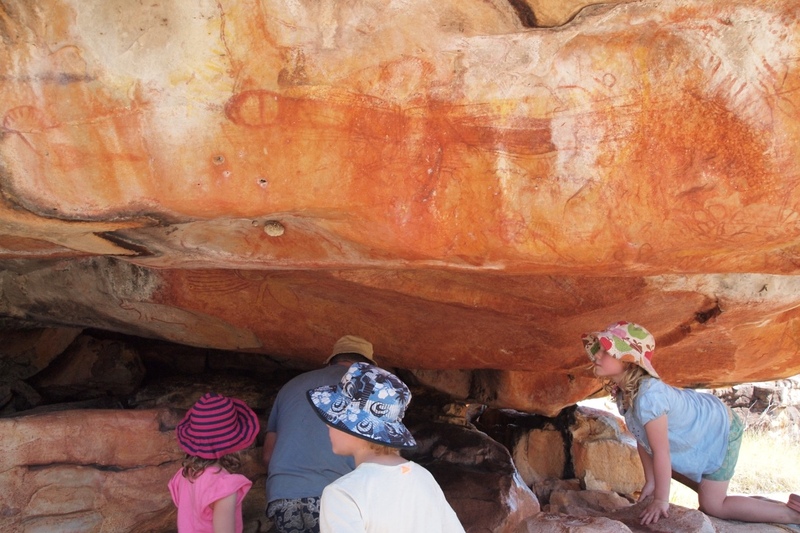 The children have become quite good at searching for the rocky outcrop which might have rock art. 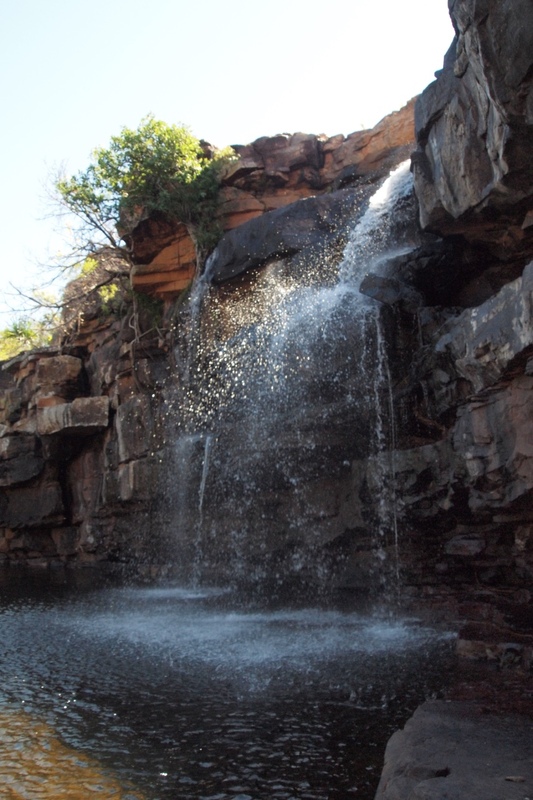 The gorge follows down into a big water hole with a lovely flowing waterfall! 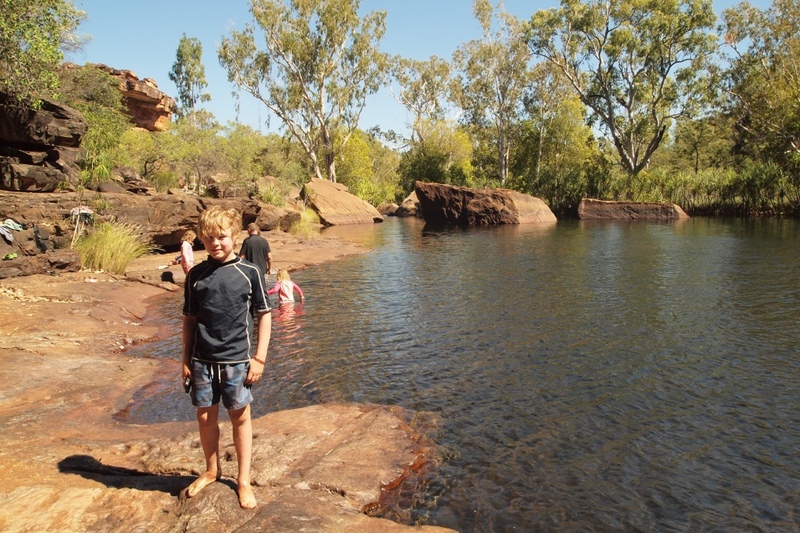 When we reached the top we found Peter and Linda there swimming in the water hole below. 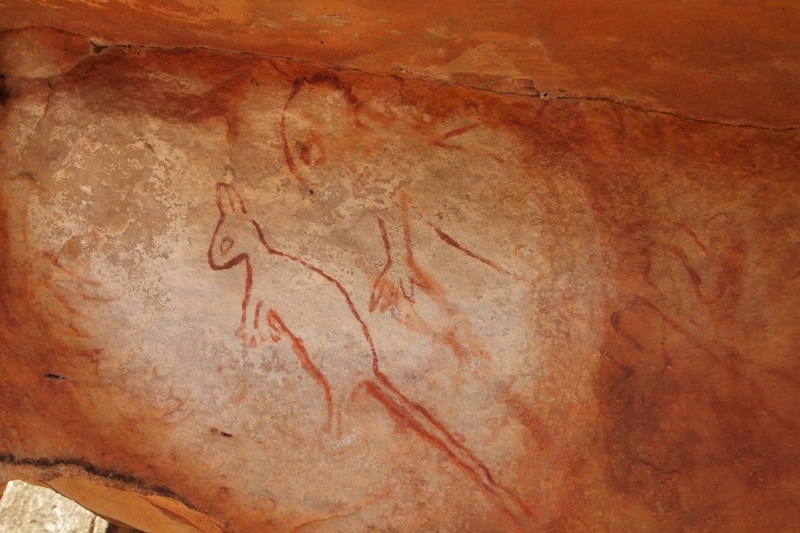 We carefully climbed down the dry side of the waterfall and admired a huge gallery wall covered with rock art next to the waterfall. As you can see the swimming hole and waterfall were both very beautiful. Another amazing place. The gallery wall with layers of pictures was awesome – Peter showing the kids special pictures. 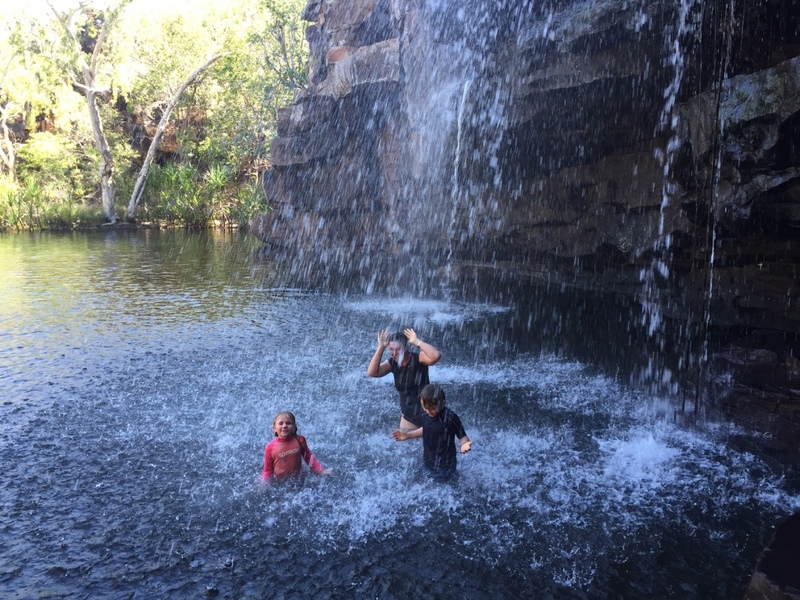 We all had a refreshing swim…Bianca was first in as usual swimming right over to the waterfall. 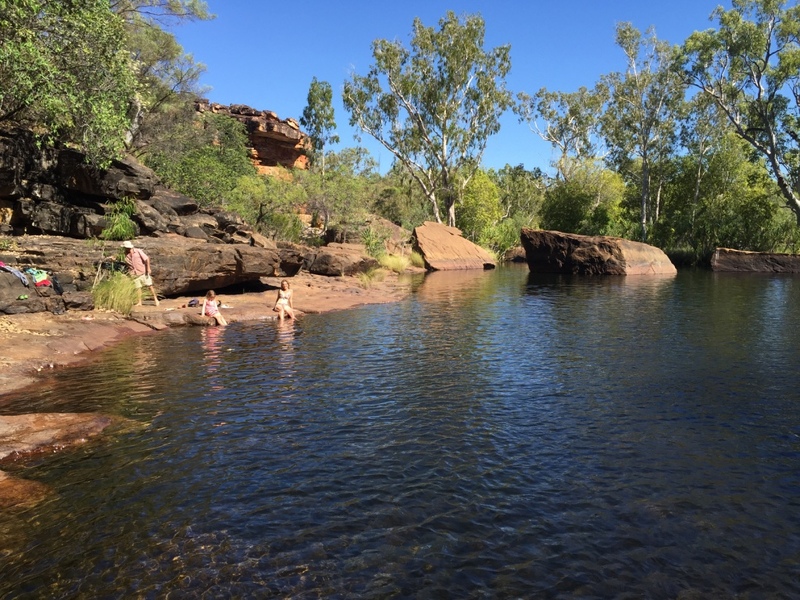 This gorge was such a special place – we all agreed probably our new favourite spot along the Gibb River Road. 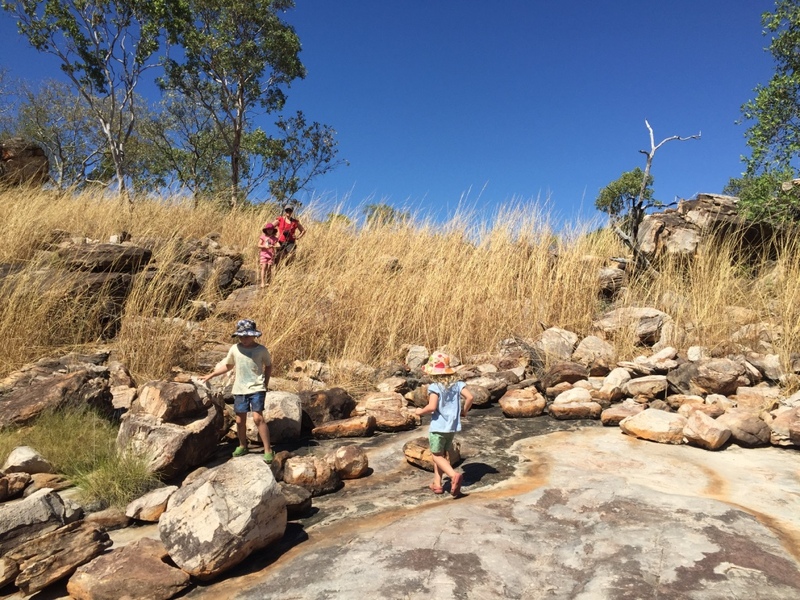 After a swim we walked back up through the gorge with our friends and Peter gave the children a turtle shell he had found – this delighted the children! (more stuff for the car) After lunch it was goodbye to Peter and Linda as we headed further down the track to over more rocky country and into our camp at Karls Lagoon. 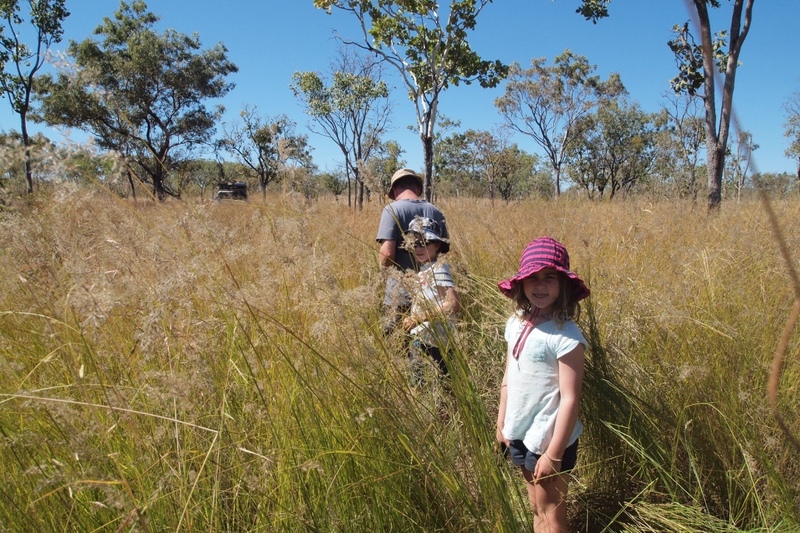 The camp at Karl’s Lagoon was literally a grass clearing amid 6 foot spear grasses that were taller than Andrew and I. As we walked down to the water we could hear things moving in the grass….I was slightly snake paranoid but thankfully we didn’t see any. 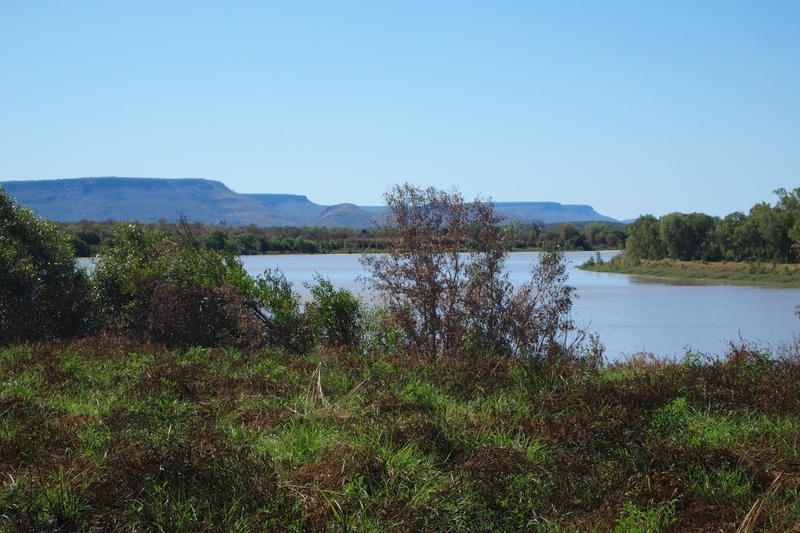 We chose to camp here as the lagoon was one of the last ‘safe’ swimming spots on the track as we head closer to the coast there are estuarine crocodile (aka Salties) in the creeks and rivers. 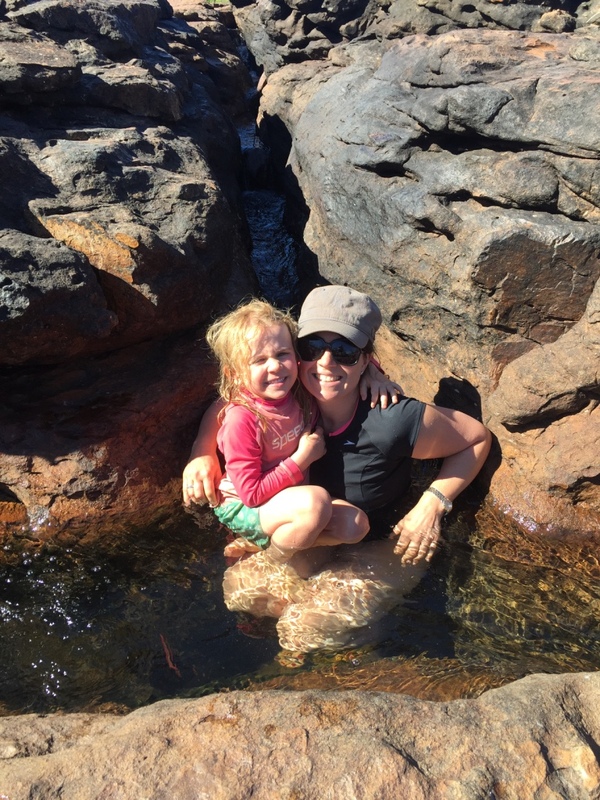 When we got out of the airconditioned car and set up camp we were hot enough to brave a lagoon swim. 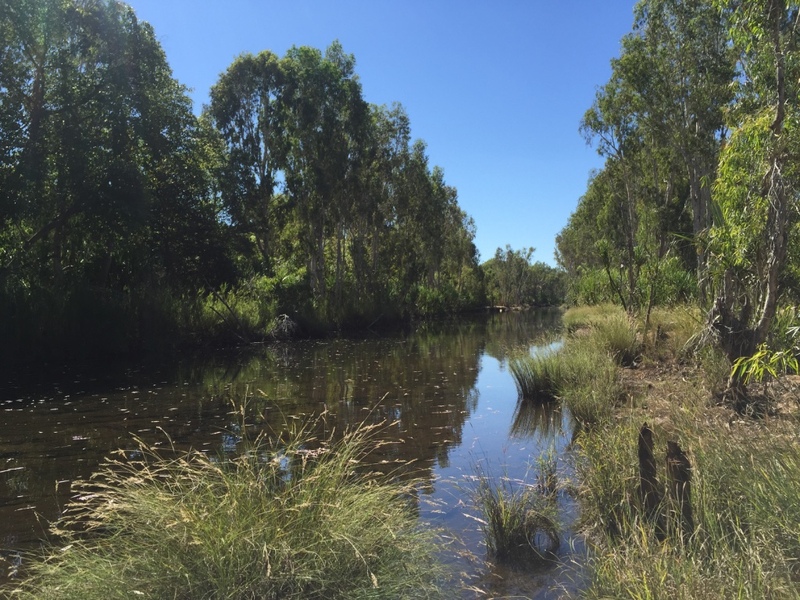 The picturesque lagoon was lined with towering paperbark trees but the water was cold. 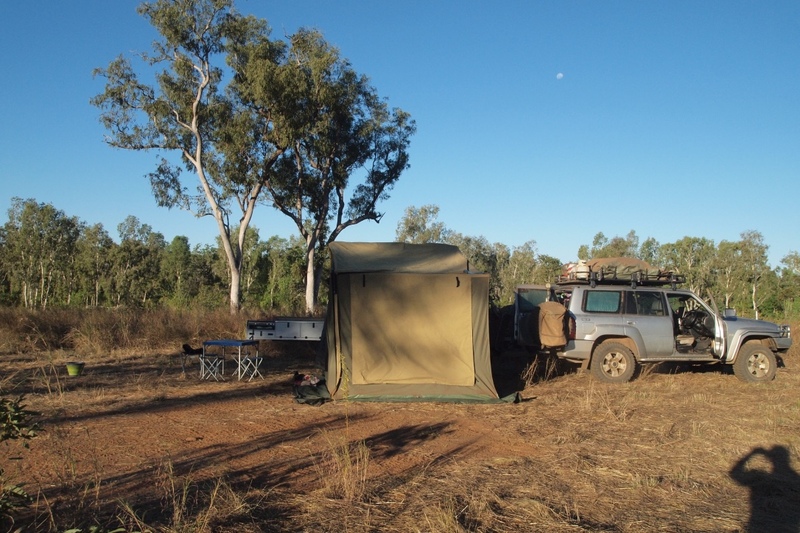 Then back to camp to get the fire going and dinner cooked – it was great to have a bush camp all to ourselves – a rare occurrence on the Gibb. Whilst eating our dinner we had a lovely owl come and perch on the only tree nearby and monitor our movements – we think he may have smelt the BBQ. 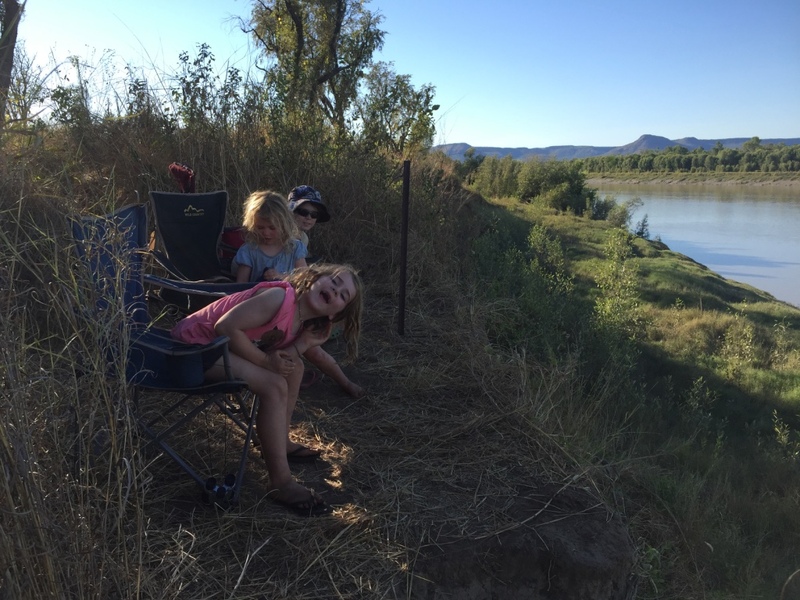 Campfire at Karls Lagoon – a camp all to our selves! In the mornings whilst packing up the kids did their journals and then we headed off to the inlet aiming to see the high tide. 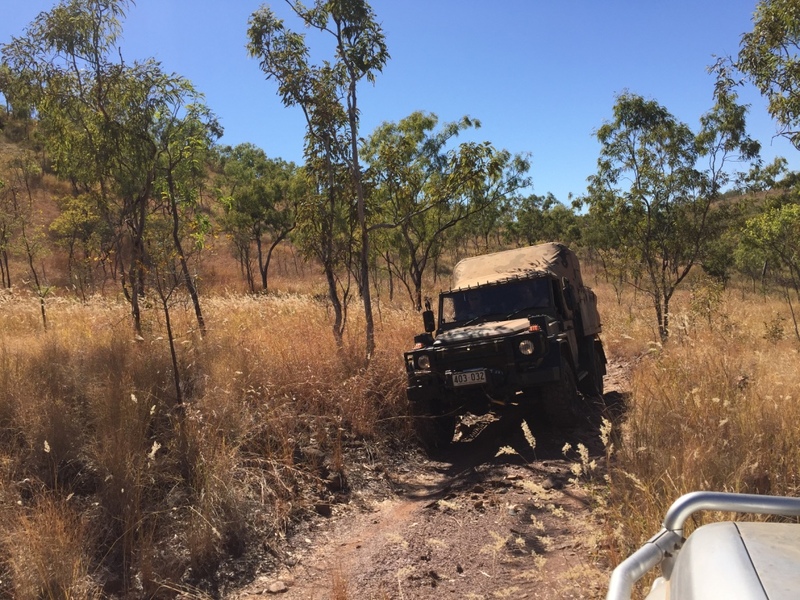 The next day we drove the last 100km out to Walcott Inlet – after a couple of serious rocky patches the track became flat and fairly easy going. We arrived at Walcott inlet around lunchtime just in time to see the high tide and set up camp on a high bank overlooking the inlet. 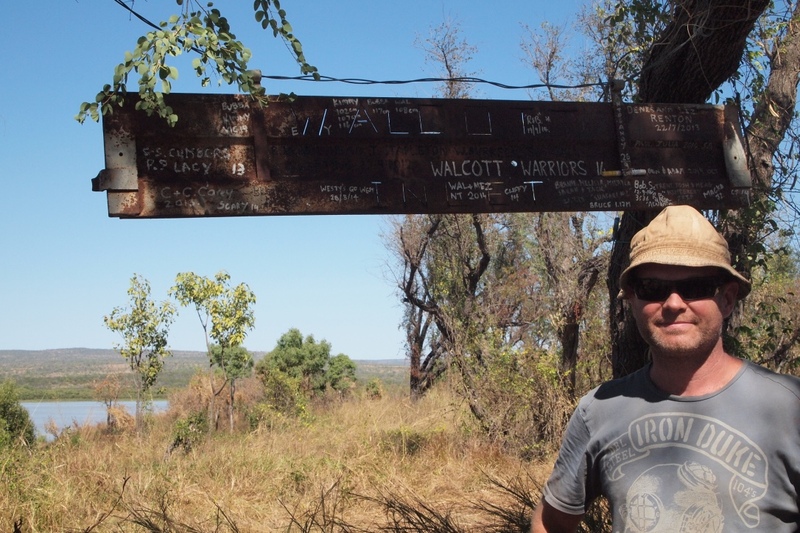 (high enough to be croc safe!) 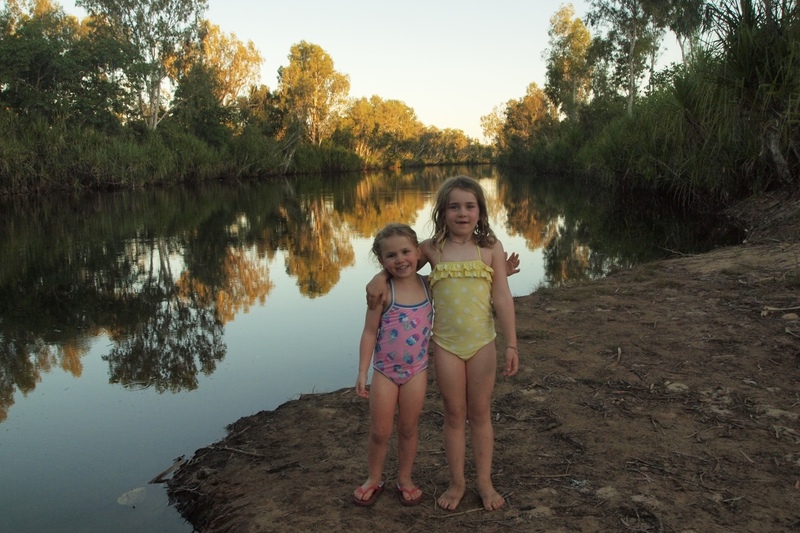 The children were given very strict guidelines to stay up on the bank and away from the water – we do not want any close encounters with the crocodiles. 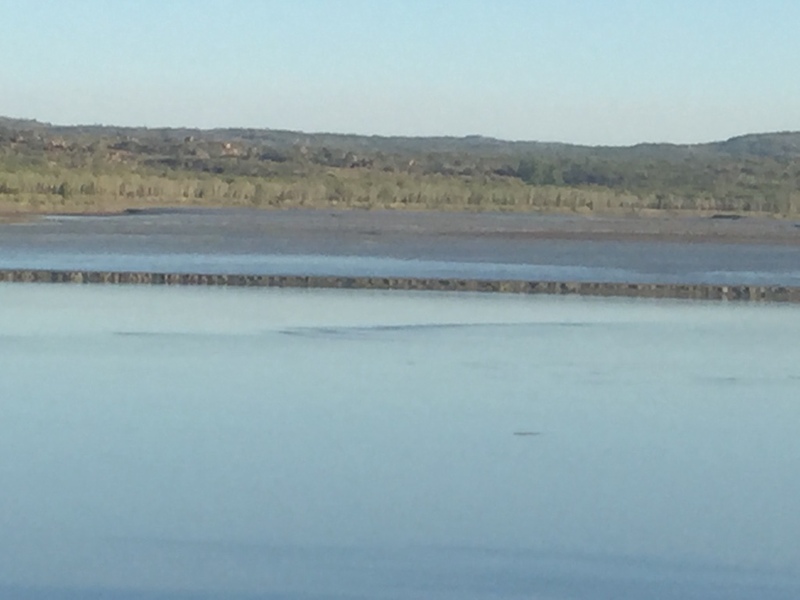 After lunch we all watched the tide moving quickly out with eyes peeled looking for crocodiles – we saw a few slide past on the moving tides – Walcott Inlet has the large tidal movements like the rest of the WA coast. 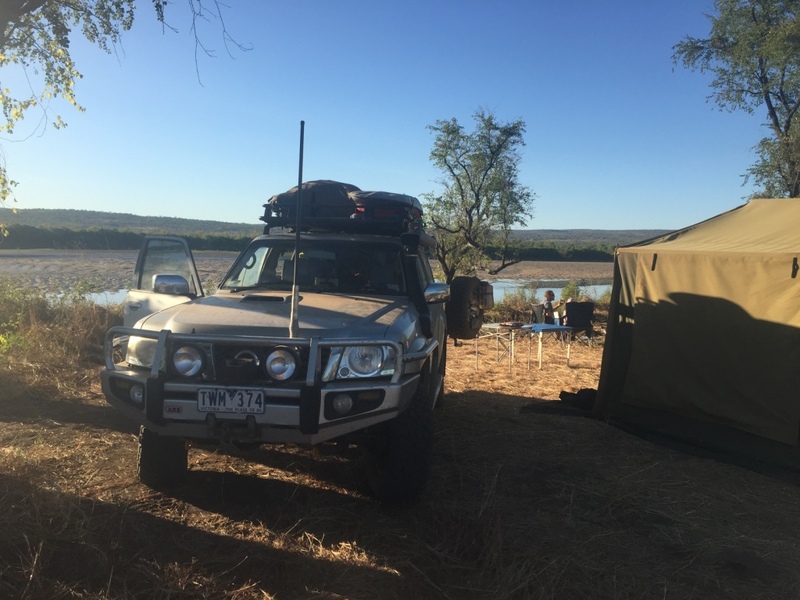 We went for a drive to the far tip of the peninsula where a group of 9 vehicles from a Victorian four wheel drive club were camped very close to the water. From here we spotted several crocodiles cruzing past on the tide. 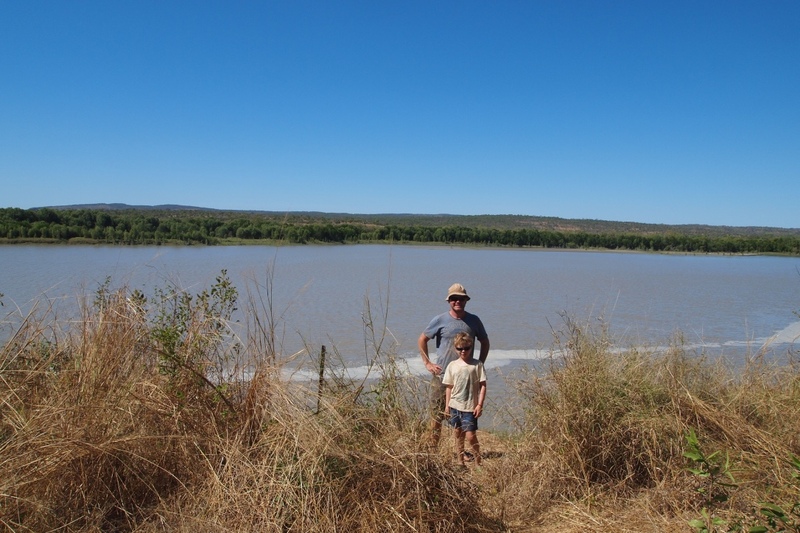 We also drove down to view the airstrip and the wetlands behind our camp where there were hundreds of birds in and around the water. View of tide we saw crocs in the distance cruze past. That night we had a lovely camp again all by ourselves with the sun setting, beautiful colours over the inlet water and the sound of thousands of birds. 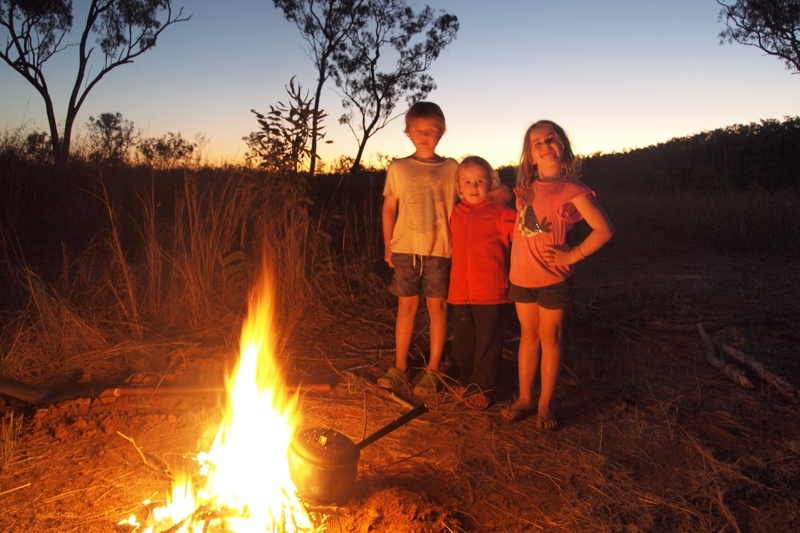 We made damper and cooked marshmallows on the fire – the kids aren’t sick of them yet! 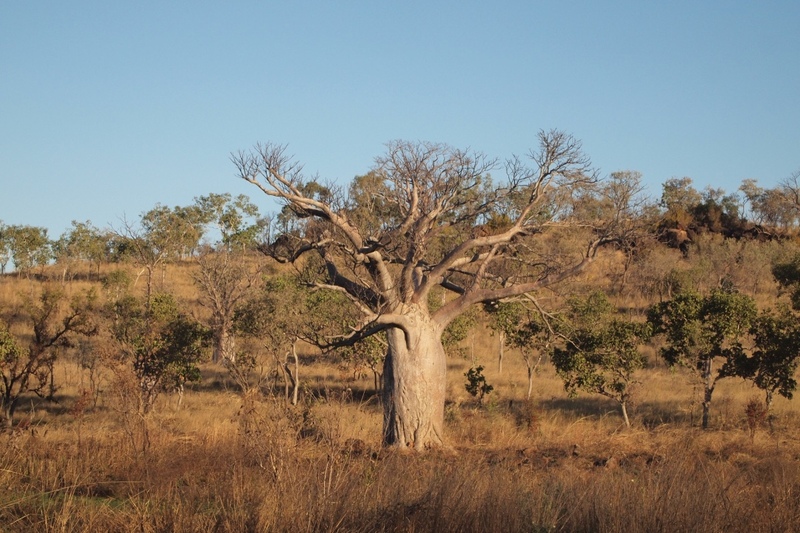 Early in the early morning, we were awoken, by howling dingoes followed by the most amazing chorus of birds I have ever heard in my life. It was echoing across the water the most errie being a number of wailing Curlew. 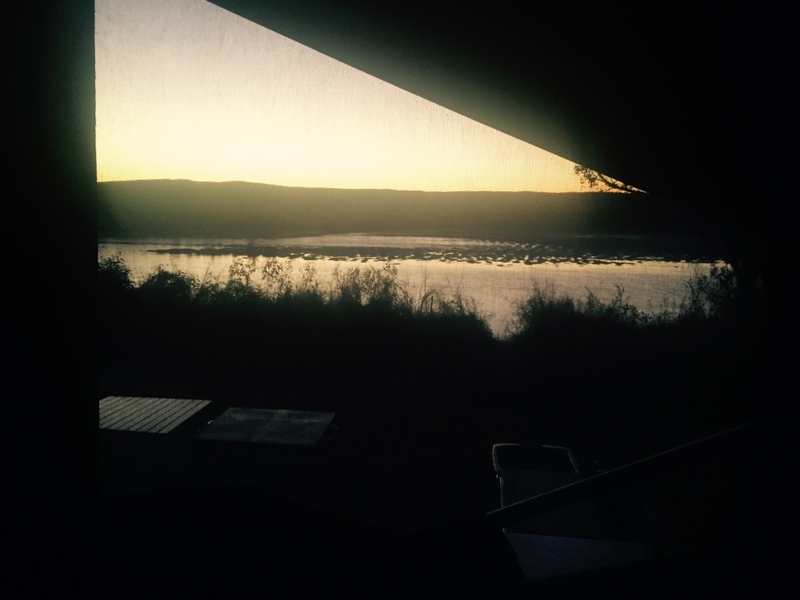 It has been one of the best things waking up to the sound of birds every day camping but some mornings…I do wish they could start their chirping a little later in the day! 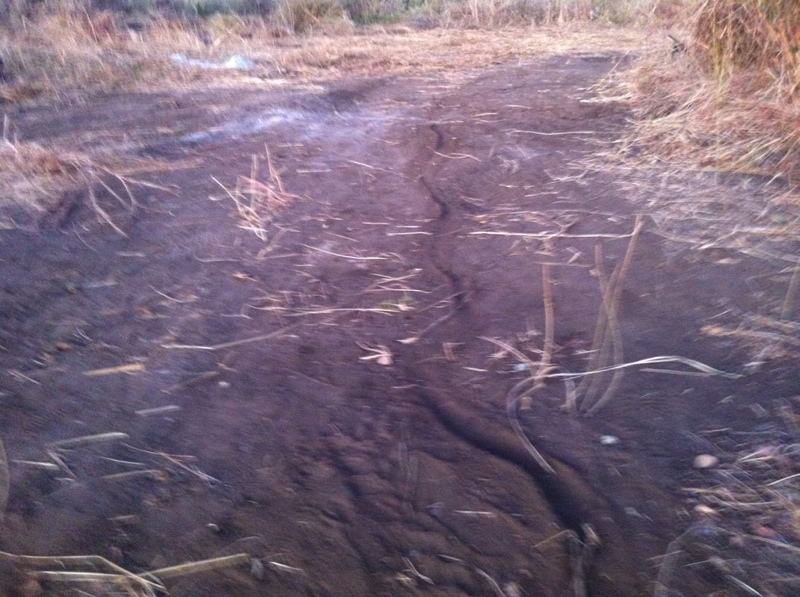 In the morning we found these tracks in our camp…so although we hadn’t seen any snakes there were definitely snakes in the grass and by the looks of these tracks a big one too! Walcott Inlet was a beautiful place just for the water views and sitting watching the water move listening to the birds was both relaxing and interesting – but we had really visited Walcott for the journey – the drive was spectacular this has been a highlight on our travels so far….we love getting outback on dirt tracks. Although it was an amazing spot we only planned to spend one night and we were already spending longer than anticipated on the Gibb RR so we packed up and headed back to Bachsten Camp. The drive back was equally beautiful and along the way we had to get off the narrow track giving way to some rather large Army Vehicles – three Mercedes G Wagons with five troops on a mission to the inlet…for some fishing..I mean work…they said they were testing the new vehicles on the track and taking a boat to check if boats can be launched at the inlet. Aaron thought their 6 wheel trucks were sick! (read awesome). 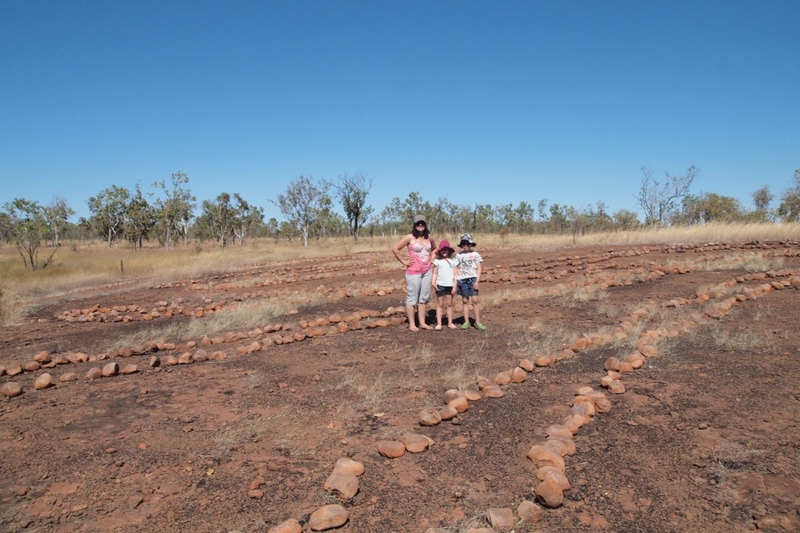 Another interesting sight we stopped to view was an aboriginal ‘sacred yam site’ – this is a site where hundreds of rocks were placed in an aboriginal ceremony regarding yams – a root vegetable commonly eaten by indigenous communities. 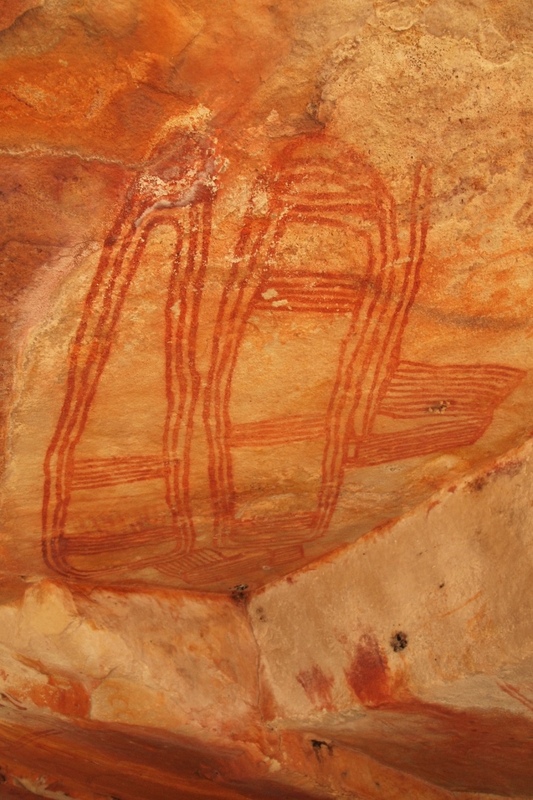 It was another fascinating site which we respectfully walked around. The grass nearby was very high – we stomped our feet as we walked through. 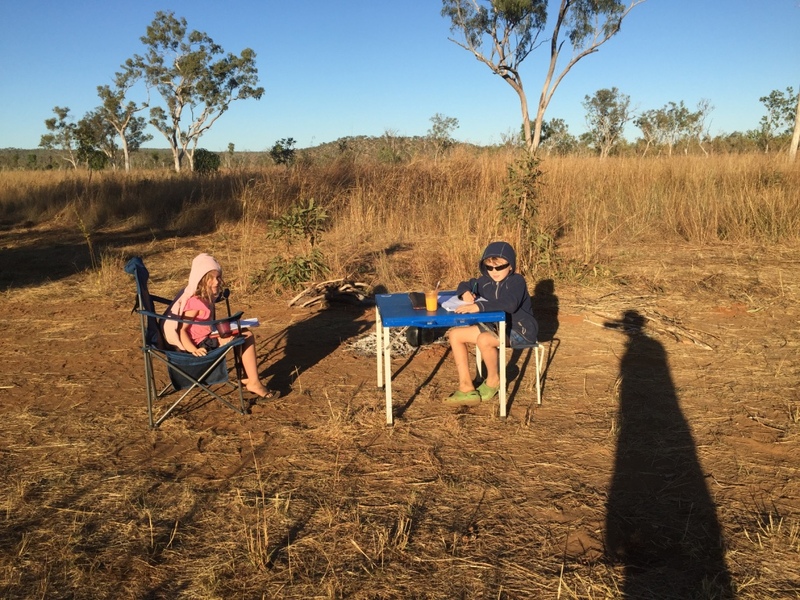 We travelled faster on the way back and managed to get back to Bachsten camp by 430pm which we thought was too late to order another loaf of Janet’s freshly baked bread….lucky Janet kindly said we cold have the loaf she was baking for herself…total bonus. We were tired after the long drive and after a hot shower and dinner we all went to bed early.